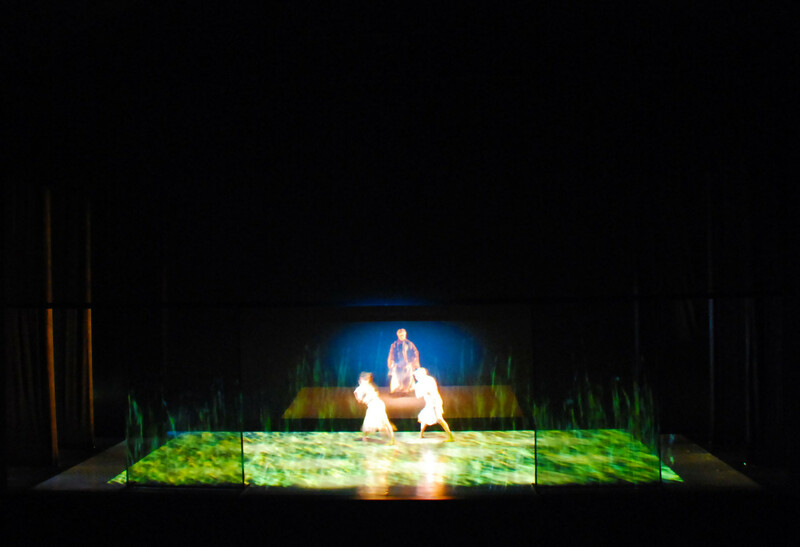 Wanderlust (2006-2007) is the outcome of a collaboration between Adelaide director / choreographer Leigh Warren and Japanese director / choreographer Uno Man after a decade of dialogue. 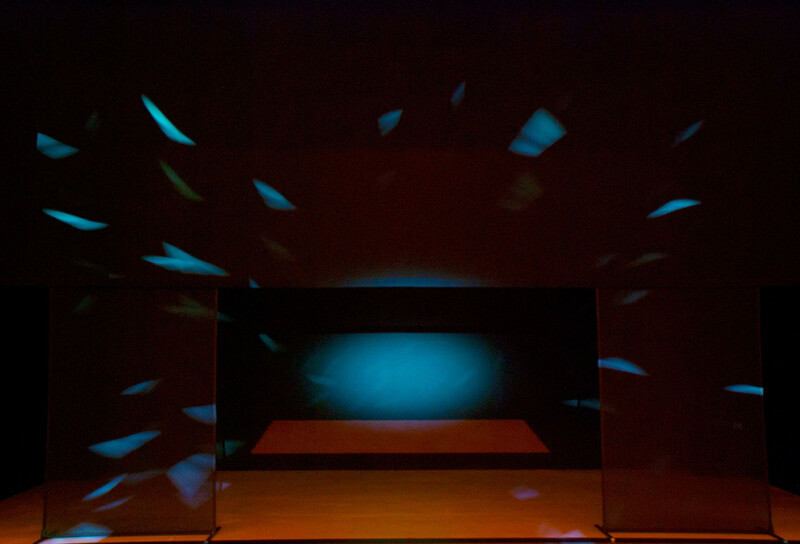 Inspired by the 17th century text of haiku poet Matsuo Basho, Narrow Road to a Far Province, the piece drew on the cultural connections of both Australia and Japan. 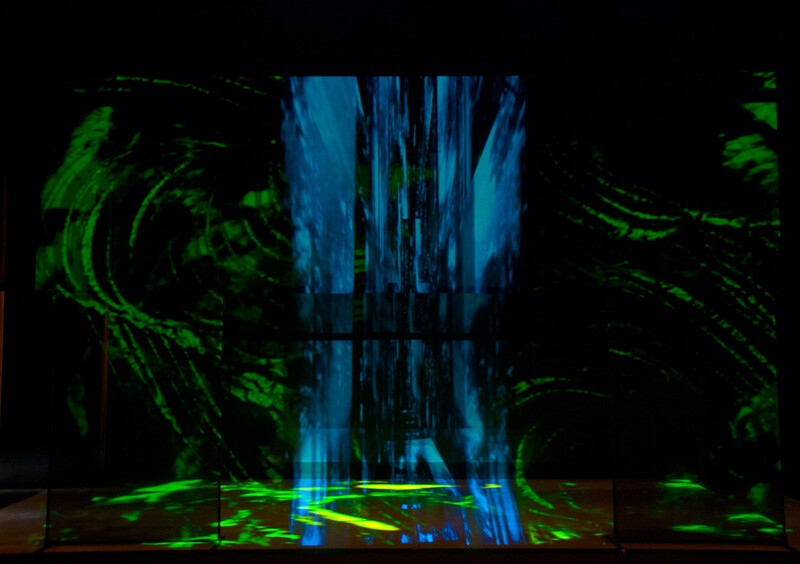 Images below show visual screen media by Tetsutoshi Tabata. 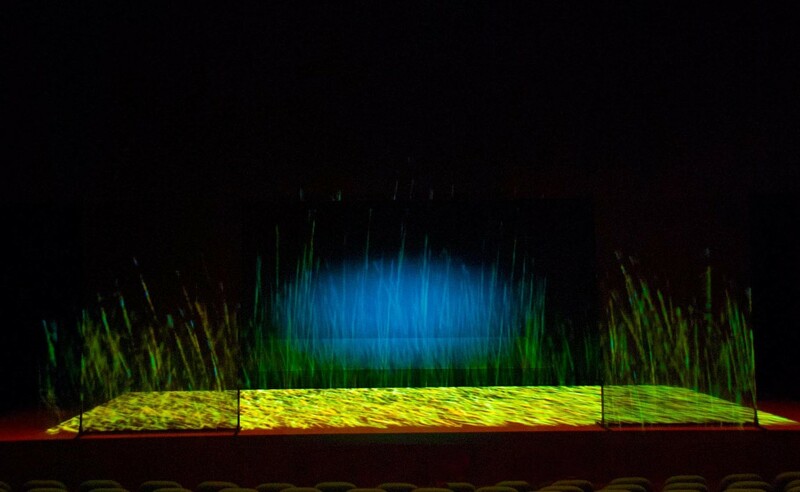 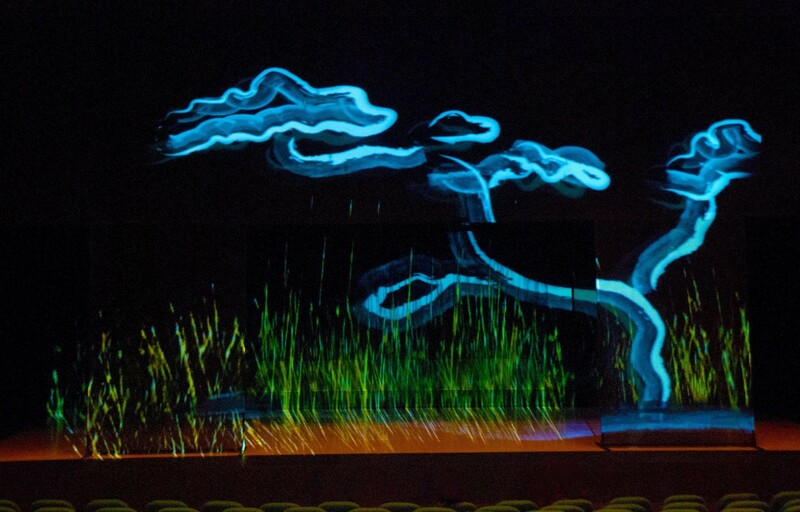 The projected animations from visual designer Tetsutoshi Tabata are extraordinarily beautiful. 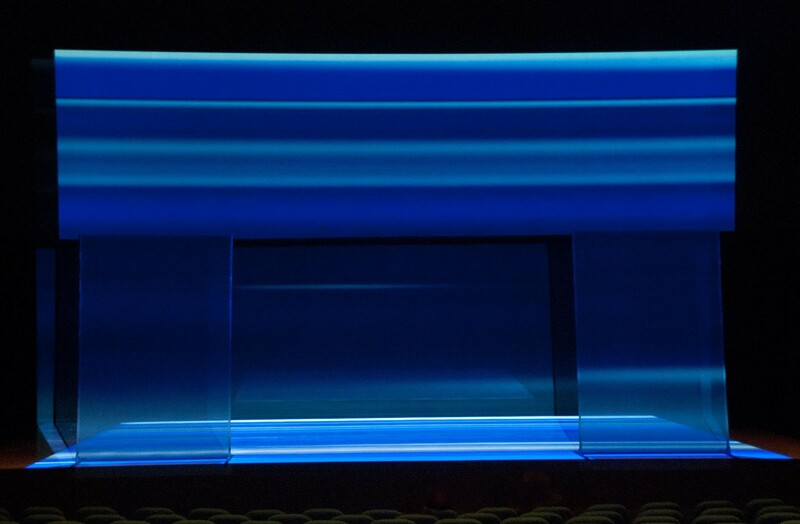 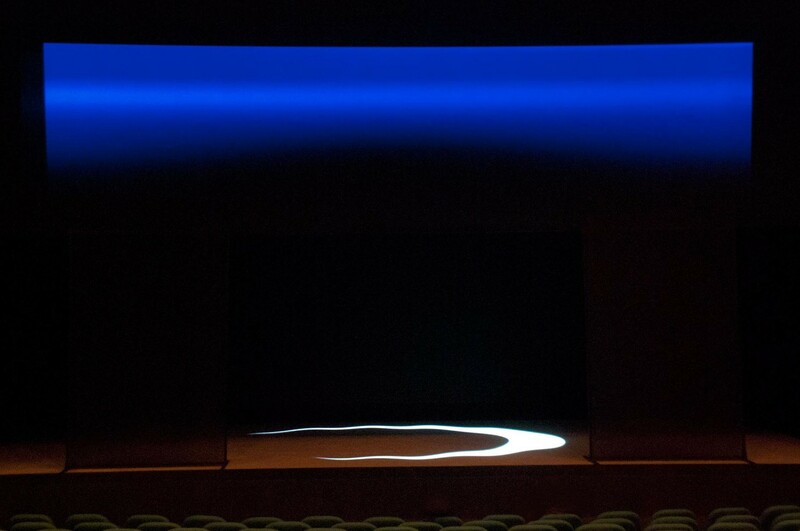 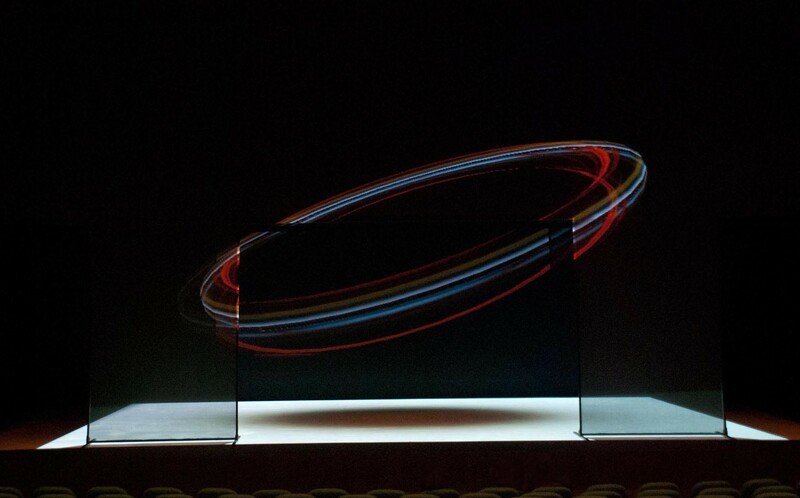 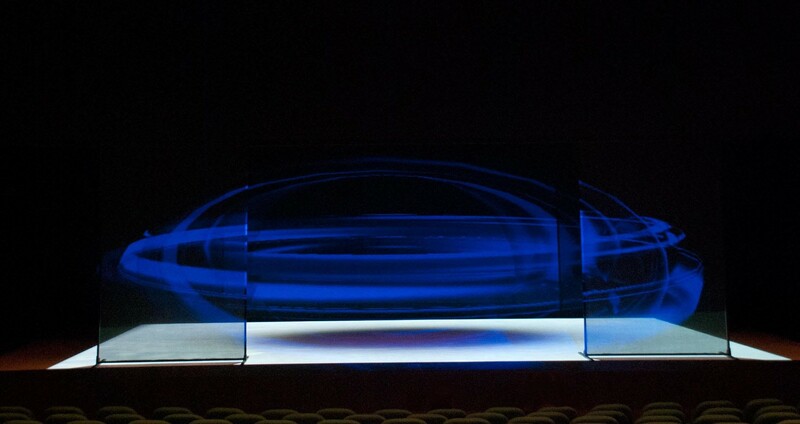 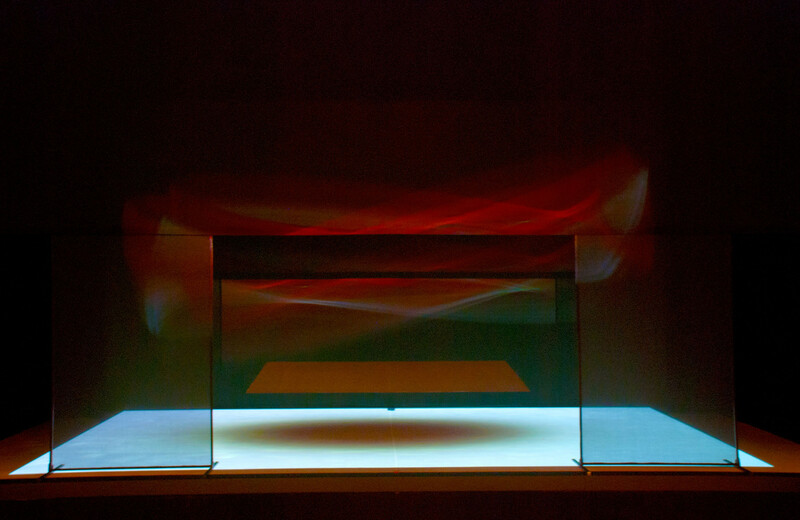 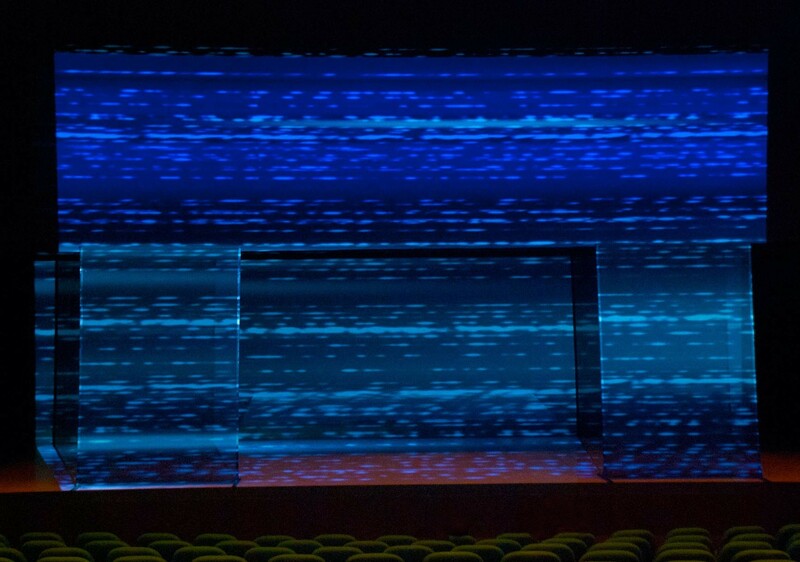 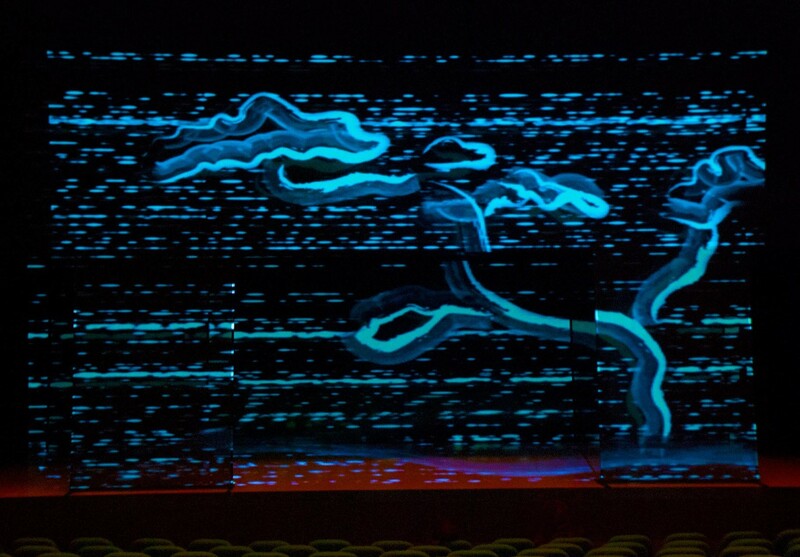 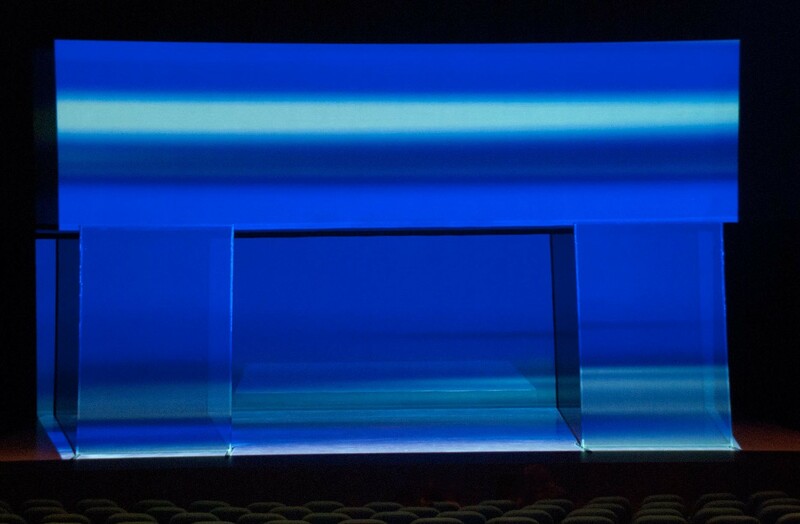 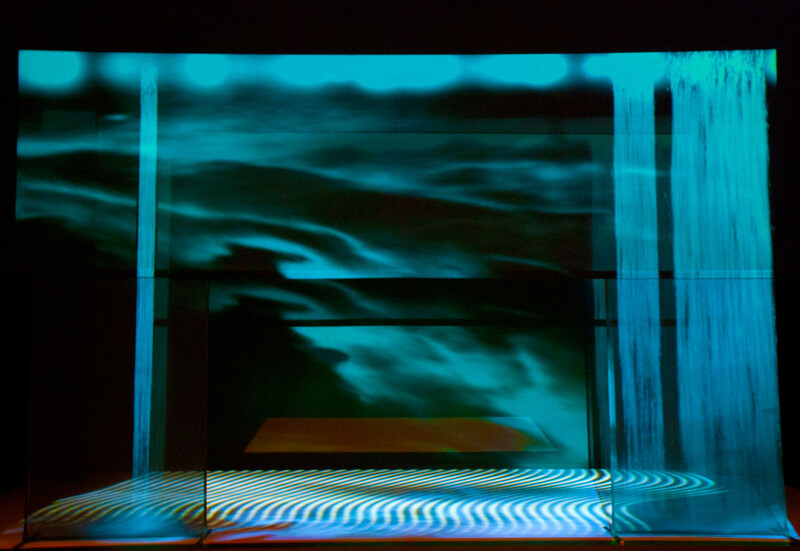 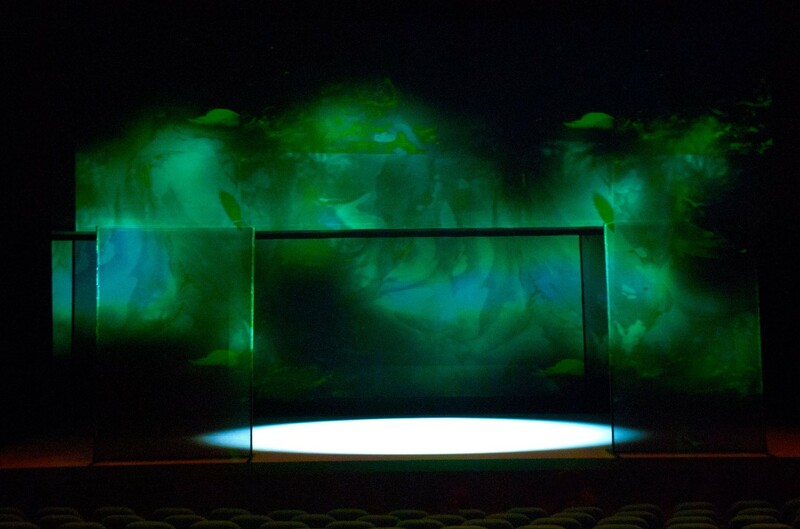 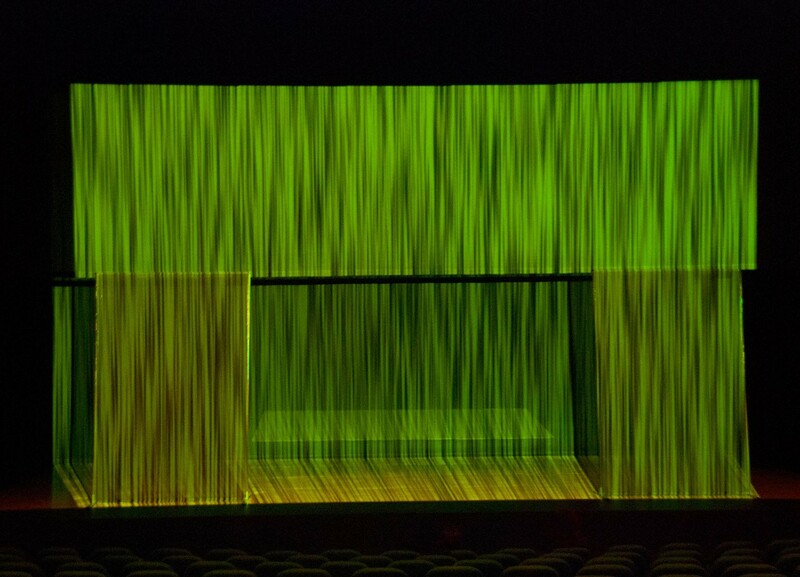 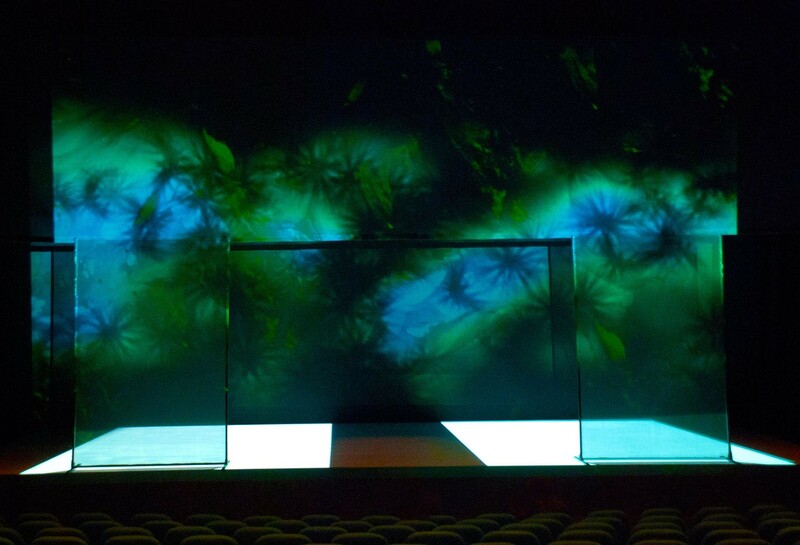 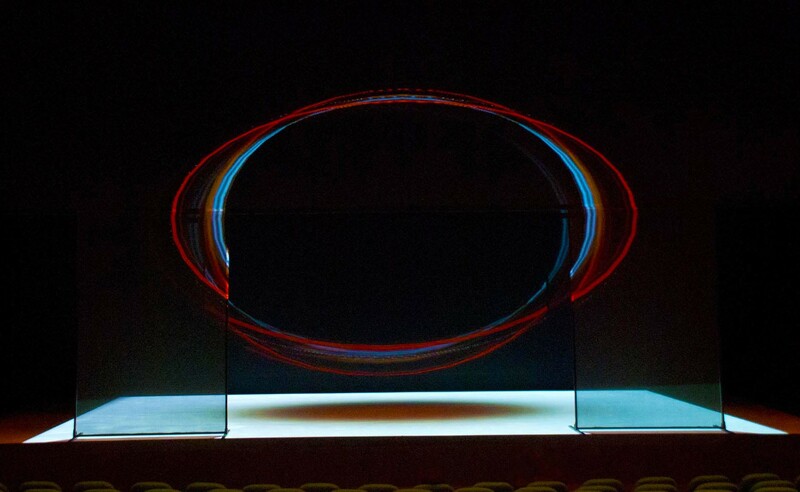 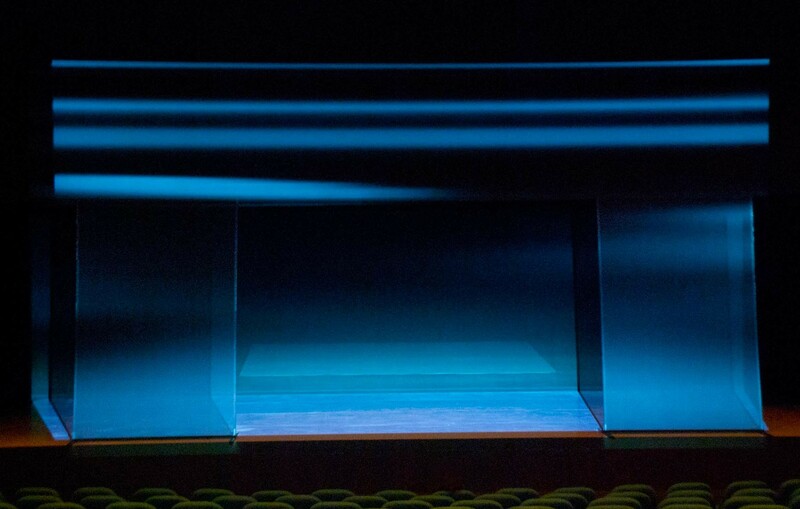 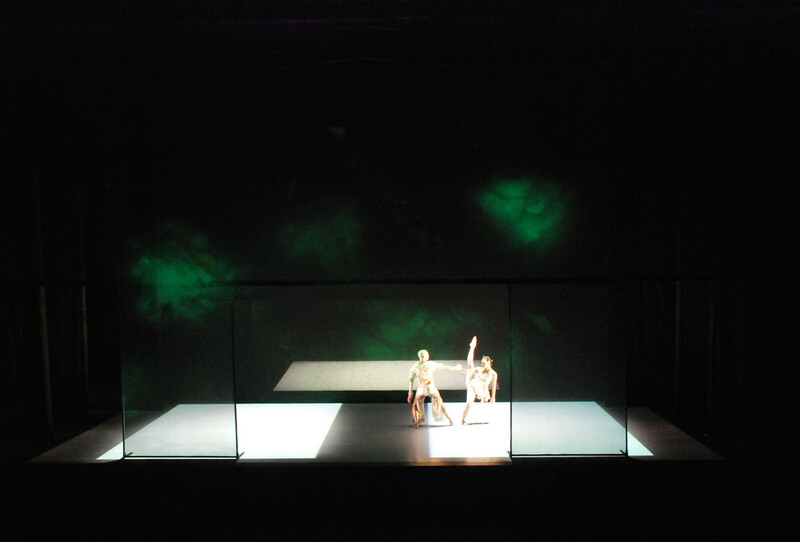 Simple shapes in plain colours are softly projected onto diaphanous screens amongst which dancers move.